“The driver arrived on time or a little early. This is important so that you don’t have to worry about the car being there to pick you up when you arrive. The vehicle were clean and comfortable, and the driver excellent. We felt absolutely safe with him. Please share our thanks with him. 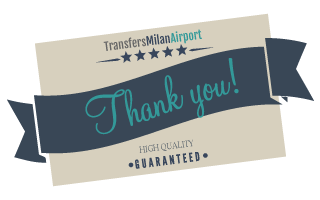 We would be very happy to recommend your company to anyone who needs a car transfer service in Milan. I'm afraid my Italian is very limited. I hope the title is correct as we just want to say Many Thanks. Regards,"
“I'm not sure which transfer this email refers to, as we used your company for transfer from Malpensa airport to the hotel and from there to Sestiere. Both transfers were very efficient, thank you for your service; I would recommend you to anyone needing a private transfer "